Bartley Sawatsky, pastor of Grace Community Church in Missasauga, Ontario, and the incoming executive director of the Fellowship of Grace Brethren Churches, takes the podium at the Southwest Focus Retreat. 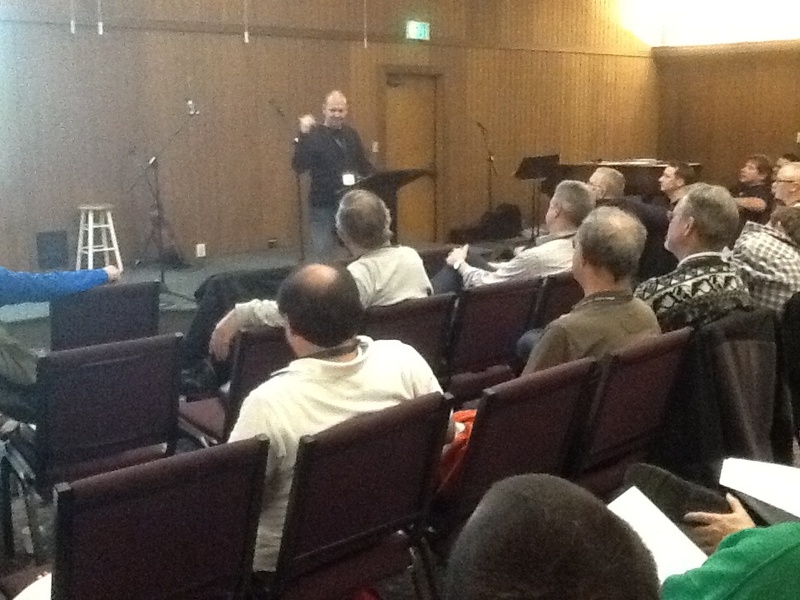 Pastors and ministry leaders from the west coast are gathered this week at The Oaks Retreat and Conference Center near Lake Hughes, Calif., for the annual Southwest Focus Retreat. Dan Allan, pastor of the Grace Brethren Church in Ashland, Ohio, is leading the few days away, which is focusing on rest and refreshment. Bartley Sawatsky, pastor of Grace Community Church, Missasauga, Ontario, is also sharing the speaking.